"I will be their God." Christian! here is all thou canst require. To make thee happy thou wantest something that shall satisfy thee; and is not this enough? If thou canst pour this promise into thy cup, wilt thou not say, with David, "My cup runneth over; I have more than heart can wish"? When this is fulfilled, "I am thy God", art thou not possessor of all things? Desire is insatiable as death, but he who filleth all in all can fill it. The capacity of our wishes who can measure? but the immeasurable wealth of God can more than overflow it. I ask thee if thou art not complete when God is thine? Dost thou want anything but God? Is not his all-sufficiency enough to satisfy thee if all else should fail? But thou wantest more than quiet satisfaction; thou desirest rapturous delight. Come, soul, here is music fit for heaven in this thy portion, for God is the Maker of Heaven. 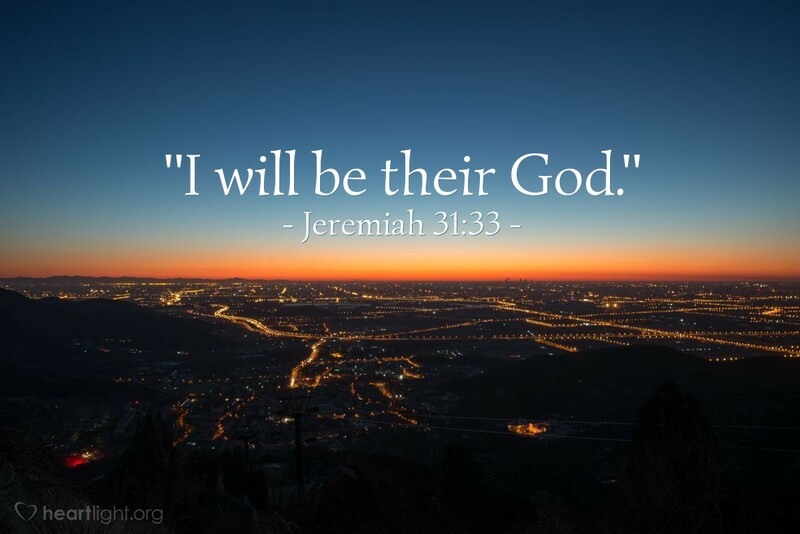 Not all the music blown from sweet instruments, or drawn from living strings, can yield such melody as this sweet promise, "I will be their God." Here is a deep sea of bliss, a shoreless ocean of delight; come, bathe thy spirit in it; swim an age, and thou shalt find no shore; dive throughout eternity, and thou shalt find no bottom. "I will be their God." If this do not make thine eyes sparkle, and thy heart beat high with bliss, then assuredly thy soul is not in a healthy state. But thou wantest more than present delights-thou cravest something concerning which thou mayest exercise hope; and what more canst thou hope for than the fulfilment of this great promise, "I will be their God"? This is the masterpiece of all the promises; its enjoyment makes a heaven below, and will make a heaven above. Dwell in the light of thy Lord, and let thy soul be always ravished with his love. Get out the marrow and fatness which this portion yields thee. Live up to thy privileges, and rejoice with unspeakable joy.